Want to avoid holiday weight while still indulging in all your favorite feasts this holiday season? It's easy to do in Seattle. 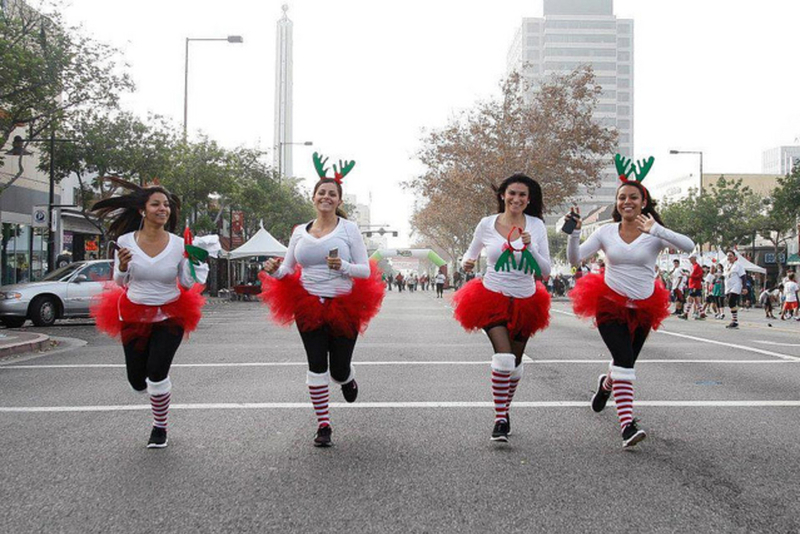 Just sign up for one of the city's many festive fun runs. Not only will you burn a few extra calories but you'll also join a few thousand other like-minded, active individuals letting loose with tacky costumes, winter brews, hot chocolate, and endorphin inducing distances. Here are 3 runs to help you get into the spirit and keep your health and sanity during the holidays. 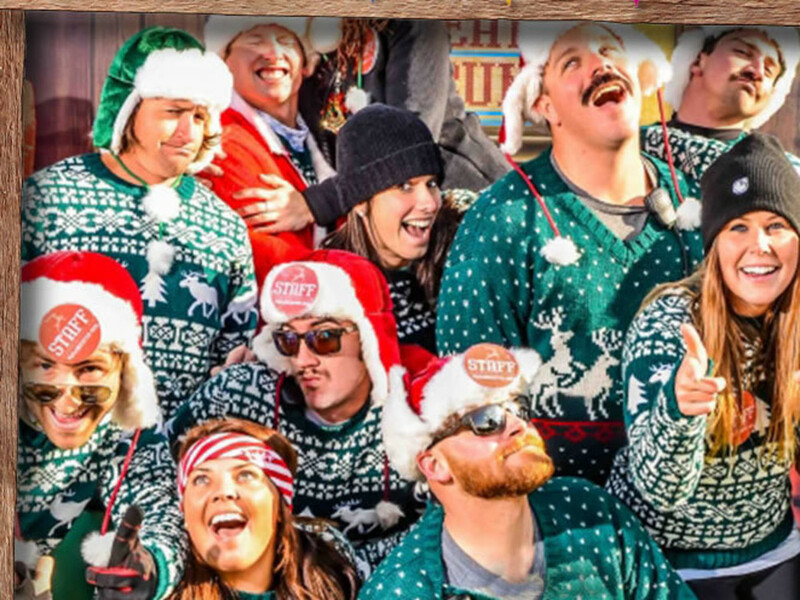 Grab the ugliest Christmas sweater you have, throw it on and head to Marymoor Park at 11 a.m. for the Ugly Sweater Run on Saturday, December 6. You can’t miss the start line, as it will be decked with big holiday inflatables and Christmas music. Expect a humorous display of all things ugly filling the streets of Seattle during this run. Themed stations along the course offer hot chocolate to keep you going. After the race, enjoy some winter lager, hard cider, or hot chocolate. Participants receive a knit hat, hot chocolate, and a beer. This race benefits Save the Children in an effort to “make the world better with a sweater.” Register online HERE. The 30th annual Jingle Bell Run/Walk kicks off at 7 a.m. Sunday, December 14 at the Westlake Center. You can run as an individual or part of a team. 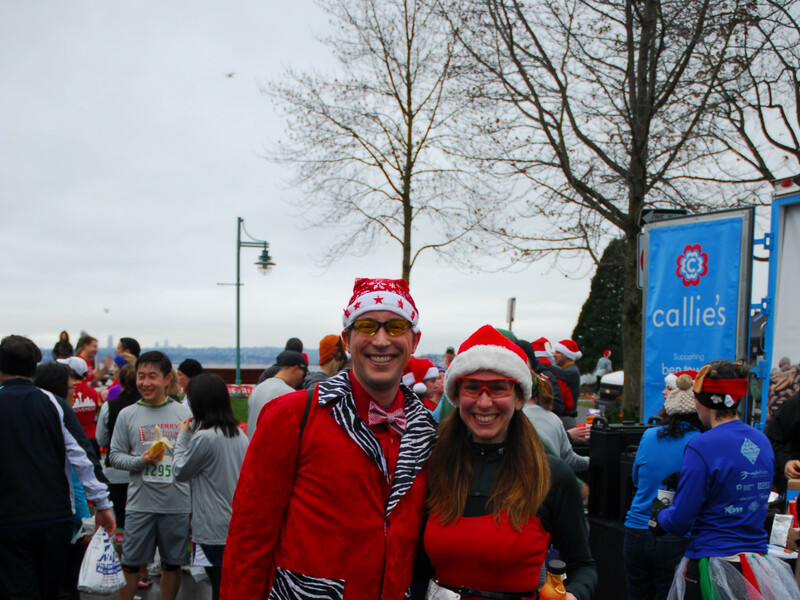 Dress up in your own version of holiday cheer for this festive race. You’ll see Santas, elves, Grinches, snowmen and reindeer running down the street in the form of costume wearing participants. Three runs include the Rudolph Runners (a timed 5K), Dasher Dashers (untimed 5K), and the Santa Striders (untimed 5K for walkers and those with strollers). There will also be a Run With The Elves 1K for kids 10 and under. Enjoy the Cheer Garden post-race where your registration includes a Sam Adams winter brew or Angry Orchard hard cider. This race is all about benefitting the Arthritis Foundation to generate money for research and raise awareness for the number one cause of disability in the US. There will be prizes for those that raise the most donation money. Registration includes a bib, event shirt, and jingle bells. You can register at both Super Jock’n Jill locations until December 10, and online HERE. The 12K’s of Christmas offers both a 5K and 12K run Sunday, December 21, benefitting foster children. Join about 2700 fellow runners and walkers for the festive 12K at Heritage Park in Kirkland. The route, which goes through the streets of Kirkland will be monitored and supported by police and volunteer staff. Registration and packet pickup begins at 8am, followed by a yoga warm up session, a 5K at 9am, and the 12K at 9:30. It’s a family and dog friendly event and strollers are allowed. For those 10 and under, there will be a 1K Kid’s Dash along the Heritage Park path at 11:15. It’s free, but you have to register. Participants receive a bib and children’s t-shirts will be available for $10. For adults, the registration fee includes a long sleeve t-shirt and you can buy fleece beanies on the website. The finish line festival will include refreshments and more than 30 booths with vendors and sponsors. Just a few feet from the finish line festival will be a wine garden hosted by The Grape Choice. Hot spiced wine and seasonal winter microbrews will be served and don’t be surprised if the big guy in the red suit shows up for the kids. Costumes encouraged. You can register online HERE.